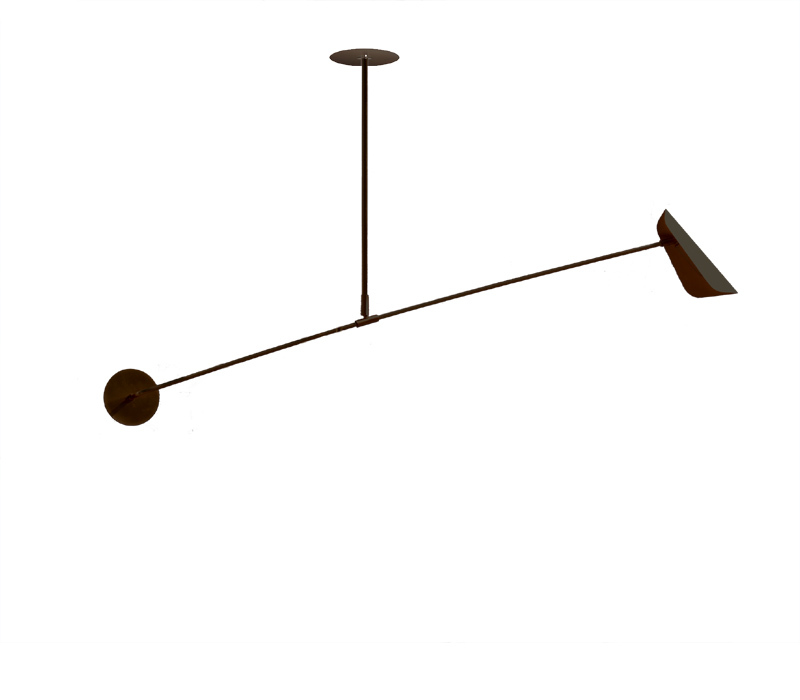 This supremely simple, modern pendant features a single extended bar which holds the abstract Birdie shade and spotlight at one end, balanced by a solid disc at the other. 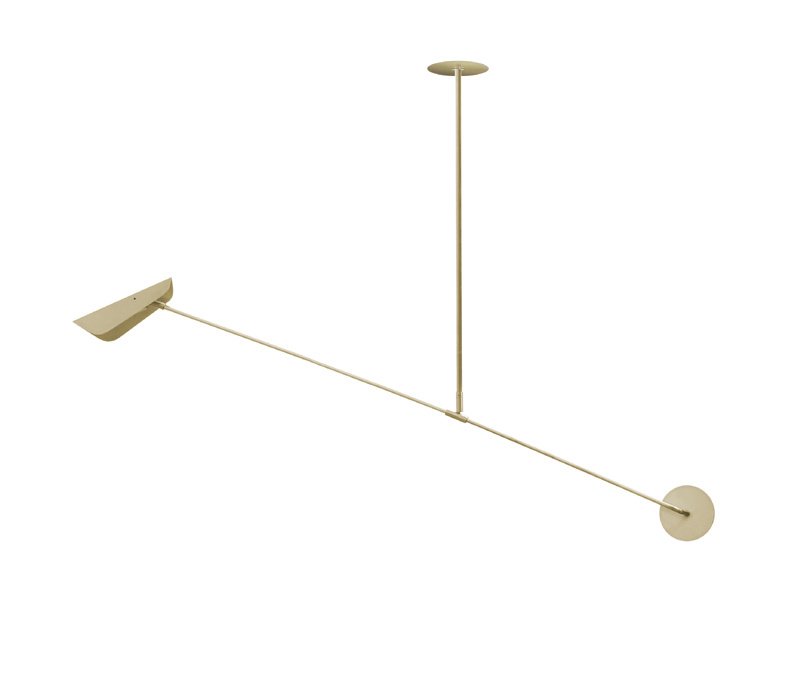 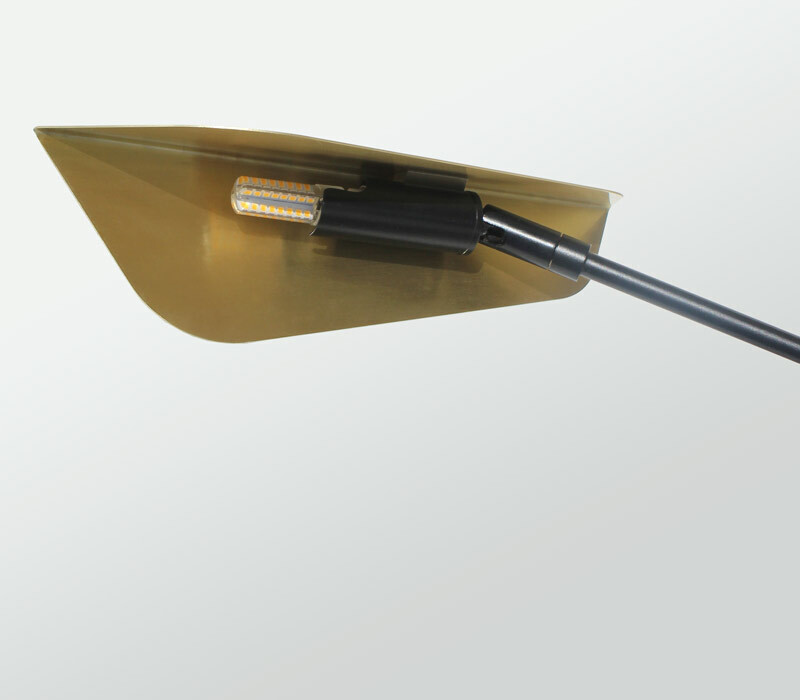 A beautifully simple graphic mobile light, which can be tilted and adjusted to suit. 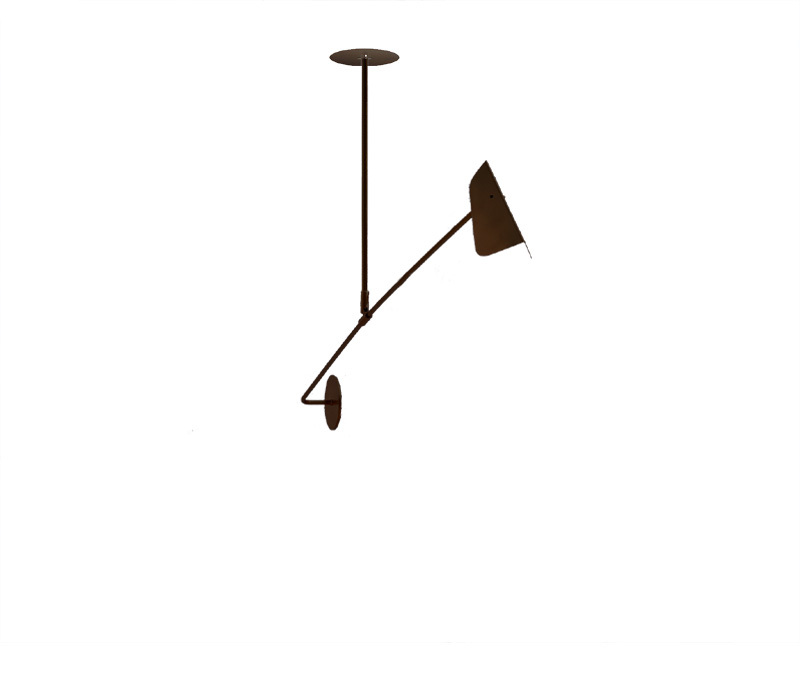 Made in solid brushed brass, bronze or powder coated black, white or the colour of your choice.